History of Leith, Edinburgh » Geometrical and Geological landscape from Leith to Edinburgh. Geometrical and Geological landscape from Leith to Edinburgh. 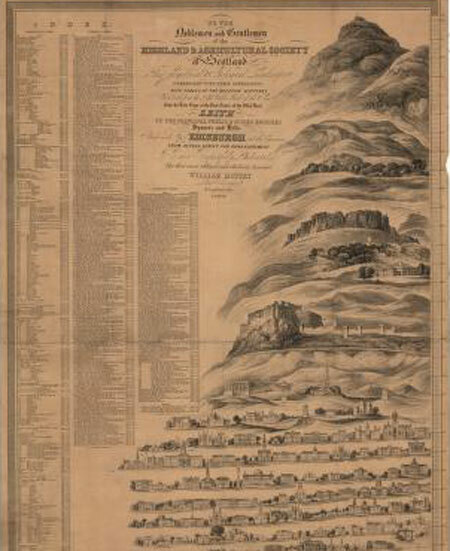 Title: To the Noblemen and Gentlemen of the Highland and Agricultural Society of Scotland, this geometrical and geological landscape… from … Leith to … Edinburgh.